New Jersey Gov. Chris Christie has had quite the week. First he was removed as the head of President-elect Donald Trump’s White House transition team. Now, his allies are being booted too. At the helm of that effort? None other than real estate developer Jared Kushner, Trump’s son-in-law and close consigliere. 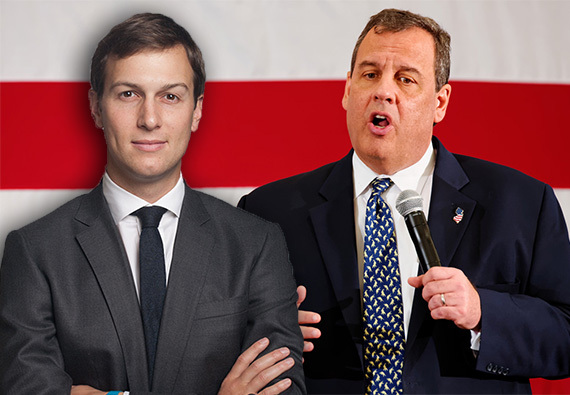 So what exactly is Kushner’s disdain for Christie? His distaste for the politician has been widely documented and linked to Christie’s involvement in the prosecution of Kushner’s father Charles Kushner, who was sentenced to prison in 2005 on 18 counts of tax evasion, witness tampering and making illegal campaign donations. But to fully understand the genesis of the bad blood, you must look back to 2005, when Christie, then U.S. Attorney, pounded his chest over his success in getting a guilty verdict in the Kushner case. He’d pushed for Kushner to be sentenced to three years for his crimes, which included hiring a prostitute to seduce his brother-in-law and capture it on videotape in an act of retaliation against his sister, a witness for the prosecution. He told the New York Times that Kushner had failed to show an “acceptance of responsibility” in the case. Kushner was ultimately sentenced to two years and served one. It sank his career and his chances of becoming the Chairman of the Port Authority of New York and New Jersey. The win was said to have helped the sharp-tongued Christie brand himself as a tough-on-corruption candidate in preparation for his run for governor in 2009. A young Jared Kushner, who’d learned of his father’s arrest while interning at then-Manhattan District Attorney Robert Morgenthau’s office, took the news particularly hard. In 2013, he told The Real Deal that he’d even changed his career course because of the handling of his father’s case. But Kushner and his father’s beef with Christie goes even deeper than his father’s prison time. They have also taken issue with the politician’s close relationship with Charles’ brother, Murray Kushner. The criminal proceedings against Charles reportedly stemmed from complaints made to federal election regulators by Murray. Beyond that, Murray continued to donate to the New Jersey Republican Party even after his brother was incarcerated. There were allegations of impropriety, with the Kushners intimating that Murray had not come under the same legal scrutiny as his brother, the Newark Star-Ledger reported. Charles and Murray had an acrimonious relationship from childhood. In 1999, it was Murray who scuppered a bid by Kushner Companies to acquire Berkshire Realty. The deal would have catapulted the Kushners into the top ranks of private real estate firms in America. The Blackstone Group ultimately won control of the real estate investment trust and its nearly 25,000 units with a $1.3 billion bid. Charles also questioned Murray’s family life, primarily because he had married a shiksa (a gentile) named Lee. During Passover in 2000, an argument boiled over, leading Murray to tell Charles that if they were incapable of being partners, then they “can’t be brothers.” Shortly after that, Murray sued Charles over money he was allegedly owed from real estate partnerships, but the case was settled in arbitration and remains sealed. Kushner put his father’s missteps behind him. But, in the case of Chris Christie, forgiveness may not come as easily.